I have been hearing about increasing rental rates from just about every commercial real estate broker I meet lately. Many believe that purchasing is still a better option than leasing for businesses with long-term plans in the local market. Programs like the SBA 504 loan, offered through my company and other SBA lenders, are helping local small businesses grow by building or purchasing their own property. Not only are rental prices for commercial real estate in Southern Nevada starting to increase, landlords are no longer offering incentives to lease, such as discounts or free months of rent like we saw during the recession. My own office is a good example. As a nonprofit, my company is not eligible for an SBA 504 loan, so we lease our office space. We received 12 months free rent with a 66-month lease we signed about three years ago. Those types of offers are nowhere to be found today. Even though many experts believe that there has been a slowdown in the Las Vegas recovery, this still may be the best time to purchase rather than to continue to lease. Interest rates are still at historic lows, real estate prices are still competitive, and commercial real estate inventory is dwindling. If you are one of the local businesses that has grown or needs to expand, you should be thinking about purchasing your own real estate instead of leasing. The long-term benefit is worth the short-term investment of a 10 to 15 percent down payment. And remember, the SBA 504 loan program allows small businesses to finance commercial real estate and other fixed assets with below-market fixed interest rates. I recently worked with a local health care provider that was leasing a 15,000 square foot space for $21,000 per month. When we performed a cost comparison of leasing vs. buying with an SBA 504 loan, we found the business would save nearly $6,000 a month just by purchasing the same space. What a difference. Las Vegas is not the only market in the western U.S. in which we are seeing significant increases in rental rates for commercial properties. In some of the other markets in which my company operates, such as Los Angeles and San Francisco, we are seeing business owners with rent increases of almost double when it is time to renew. Fortunately, that’s not happening in Las Vegas right now, but five years from now, who knows? Owning your building takes that worry away, gives you tax and investment benefits and provides the flexibility to make the space your own. And if you think big, you can add rental income now and in the future. Many business owners tell us that owning their own real estate has been the best retirement they never planned. 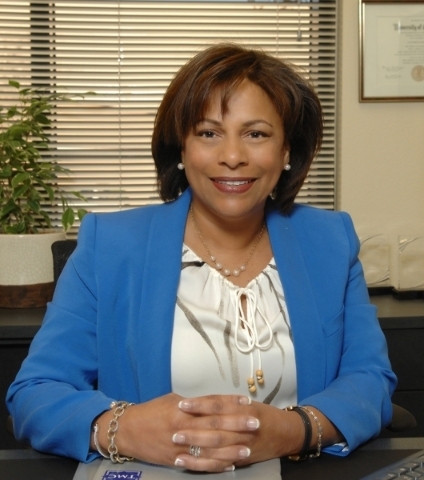 Ann Santiago is senior vice president of TMC Financing in Las Vegas, the largest provider of SBA 504 commercial real estate financing in Nevada and Northern California. Reach her at ann@tmcfinancing.com or by phone at 702-318-6515.